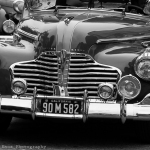 One more photo from the Old Town Pittsburg Car Show. 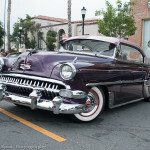 Photo highlights from the Old Town Pittsburg Car Show. 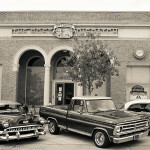 A very nice display of cars with live music in Pittsburg, CA. The next show is July 16 from 6-8pm. 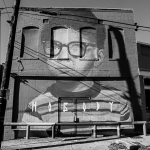 An exploration of the Castleberry Hill neighborhood of Atlanta with photographer Lee Jones. 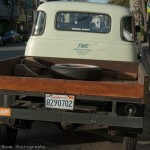 I saw this classic cruising down Van Ness in San Francisco. 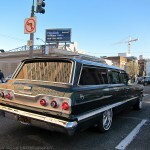 I was positioned perfectly in the next lane to get this shot. 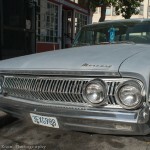 July 26, 2011 Filed in Classic Cars, This is My Oakland! I was coming home after a concert and spotted this classic gem on the street. 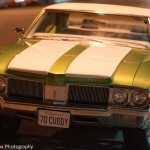 It is a 1970 Olds Cutlass aka “’70 Cuddy.” I could not resist taking a few shots.